Image courtesy of Tim Sackton. The average American eats the same 12 to 20 different foods every week. But imagine a world in which you ate hundreds of different foods throughout the year, and all of it was locally grown. 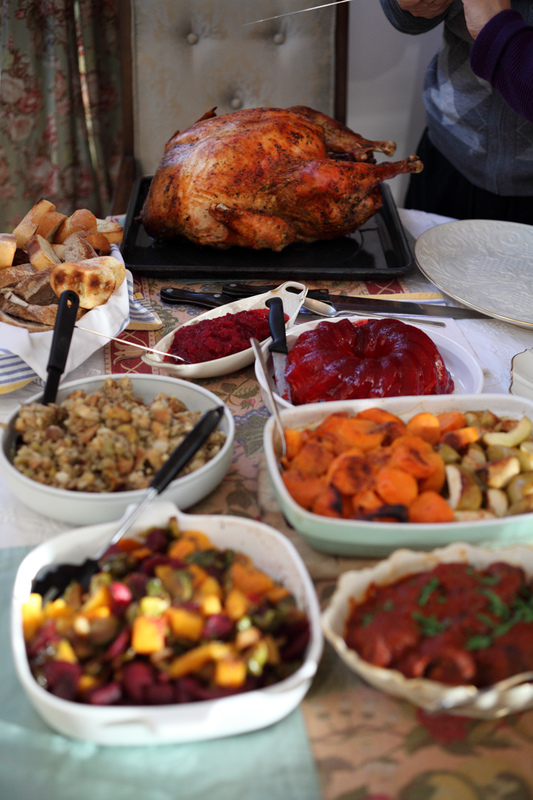 In such a world you would have more than 50 birds to choose from for your Thanksgiving feast, not just turkey. For Coast Salish tribes of the Pacific Northwest, this world of vast food variety was a reality. Dr. Robert Kopperl, affiliate curator and archaeologist at the Burke Museum of Natural History and Culture in Seattle helped gather data on 10,000 years of Coast Salish diets and foods. A typical Thanksgiving feast. Image courtesy of ccho. Previously, these archaeological findings were kept in highly technical and difficult to find reports. Now, combined with elder accounts and memories, this information has been summarized in a list of more than 300 different foods that Coast Salish ancestors traditionally ate. By combing through oral traditions and artifacts, archaeologists and elders will build a road map for reviving traditional and diverse foods. Elise Krohn, a traditional food specialist with the Northwest Indian College, believes this information will help improve the health of tribal communities like the Coast Salish, who populate many areas of the Pacific Northwest. Audio interview with Elise Krohn by the Burke Museum. This assortment of foods can be found on the Coast Salish People’s food list. Image courtesy of Elise Krohn. Diabetes and obesity are on the rise in the United States, particularly in Native American groups. The convenience of processed and fast foods has beaten out healthy and whole food options. Traditional foods, however, can offer a list of tastier and more nutritious options. Elders hope this will resonate with younger Coast Salish generations. 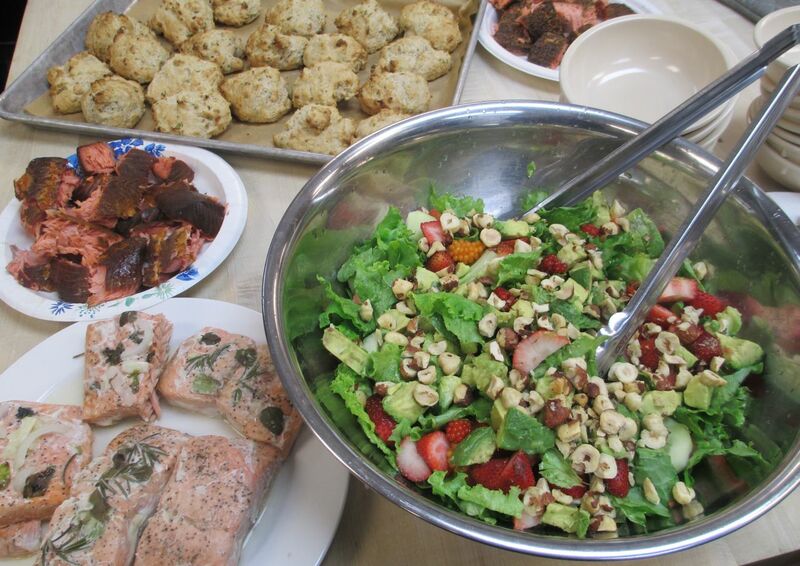 By combining archaeological research with tribal knowledge, Coast Salish tribes now have access to a long list of healthy, diverse, and local food choices. But it’s not just the Coast Salish who stand to benefit from this kind of knowledge — and it’s not just about reviving interest in traditional foods. A better understanding of ancestral eating habits, whether by archaeological research, family recipes, or passed-down knowledge, enables us all to better understand our cultures. Audio interview with Warren King George by the Burke Museum. 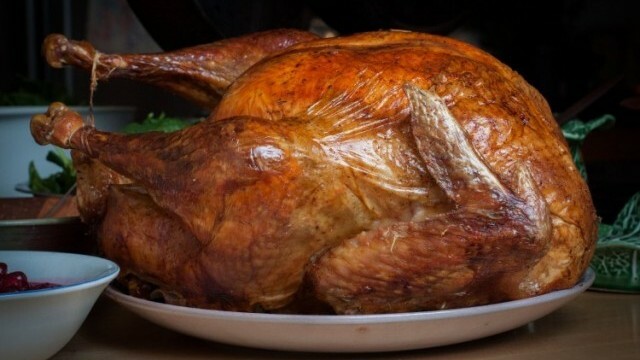 Although it’s unlikely that there will be albatross, herons, or any other bird but turkey gracing our Thanksgiving tables this year, perhaps some of us will pause (between bites) to consider the role food plays within our family culture and what we choose to eat. Cranberries are a traditional and nutritious Thanksgiving food. Image courtesy of Elizabeth Campbell. This tart yet sweet sauce is bursting with flavor and antioxidants. The naturally occurring pectin in rose hips and apples seems to magically thicken the bright red sauce. Seven-year-old Madelyn Stratton made this for her family’s Christmas dinner, and it was a big hit! Leftovers make a delicious snack when served with Brie cheese and crackers. 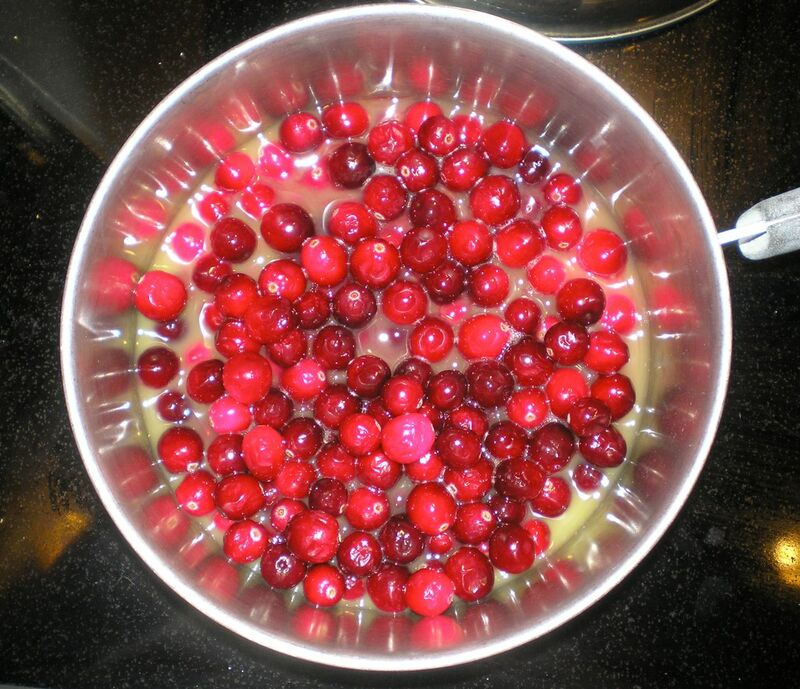 Heat the cranberries, cider, and orange juice to a boil in a saucepan until the cranberries pop open. Stir in rose hips and sweetener. Remove from heat and let the sauce thicken as it cools. Add more cider to thin consistency if necessary. Sarah Sanborn joins QUEST Northwest from the University of Washington’s Program on the Environment. She has worked with the Environmental Protection Agency and a variety of citizen science projects in the Pacific Northwest. In the spring of 2013, Sarah was awarded the UW Environmental Leadership Scholarship given to those who represent leadership, integrative thought and action, and vision of how they hope to make a positive difference in the world.